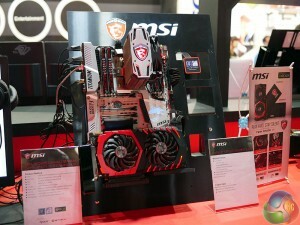 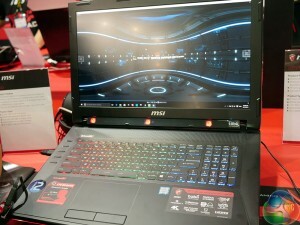 MSI has a lot of hardware on show at this year’s Computex event, though alongside the somewhat traditional laptops and desktops, it’s stealing the show with a new backpack designed for virtual reality and a number of new laptop displays, capable of hitting 120Hz refresh rates. 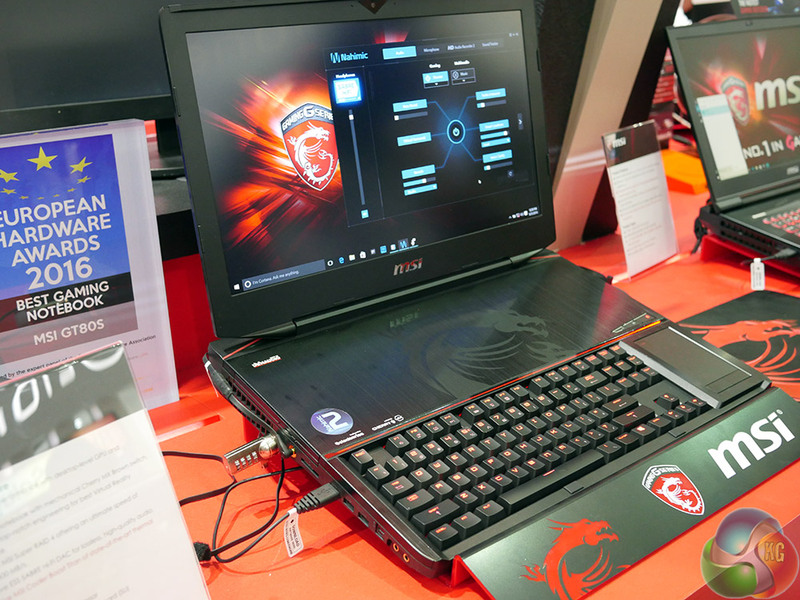 The big-red backpack is more than just a container, it’s an entire PC. Although we weren’t briefed on the internals, we were told that it’s capable of handling commercial grade virtual reality (so has at least a GTX 970 in there) and weighs 5KG. 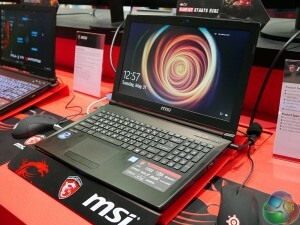 Battery life gives it about 90 minutes of play time which isn’t great, but it does do away with the need for long trailing cables. 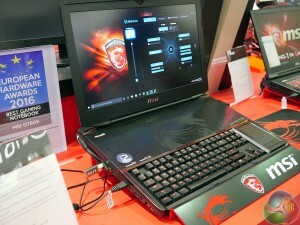 Of course MSI had a number of high-end laptops on show too, featuring a variety of internal hardware, but always high-end and focused on gaming. 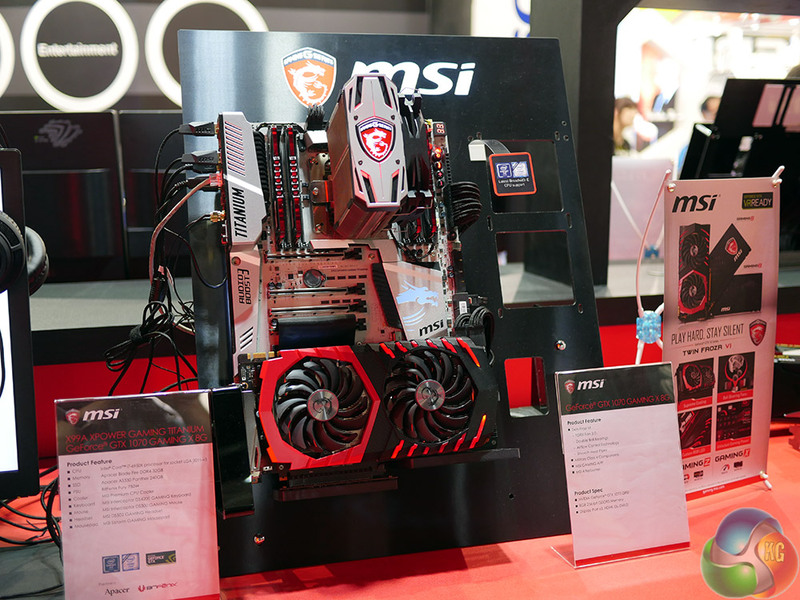 You could perhaps take one of these and make your own VR gaming backpack, but would it look as stylish? 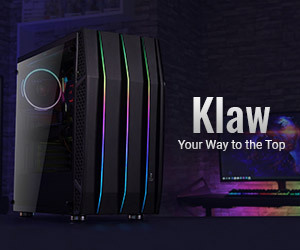 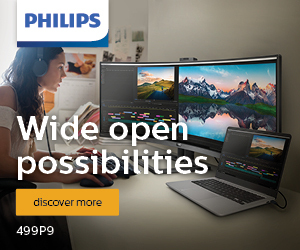 The big feature with many of these notebooks though is that they can handle up to 120Hz refresh rates, which is a technology that we were told MSI has a six month exclusive on. 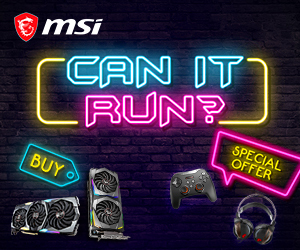 So if you want a high-refresh rate gaming laptop in the near future, it better be MSI branded. 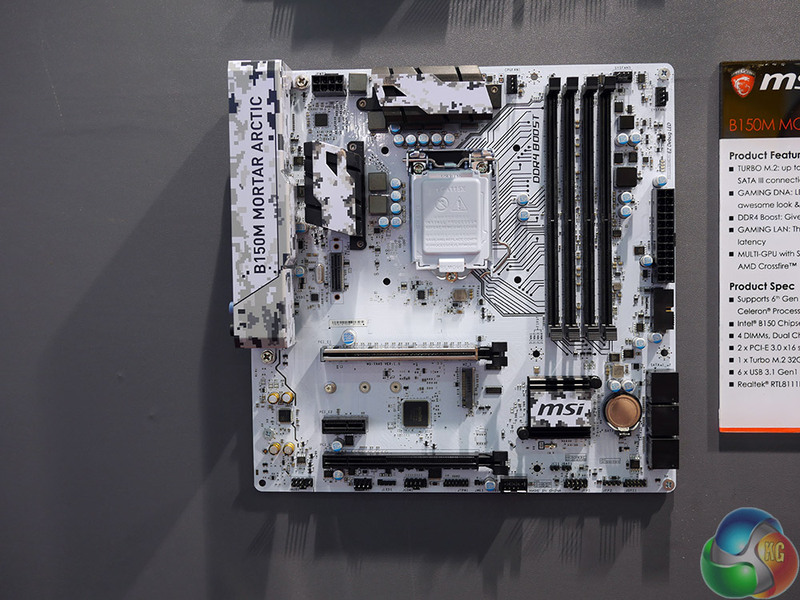 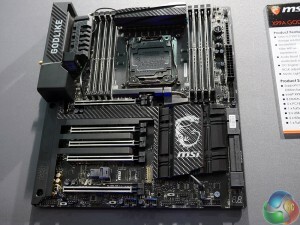 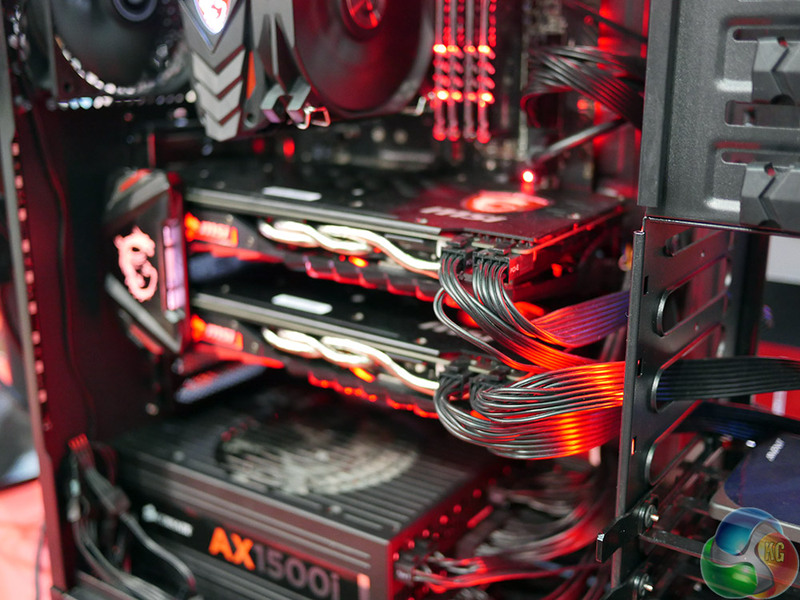 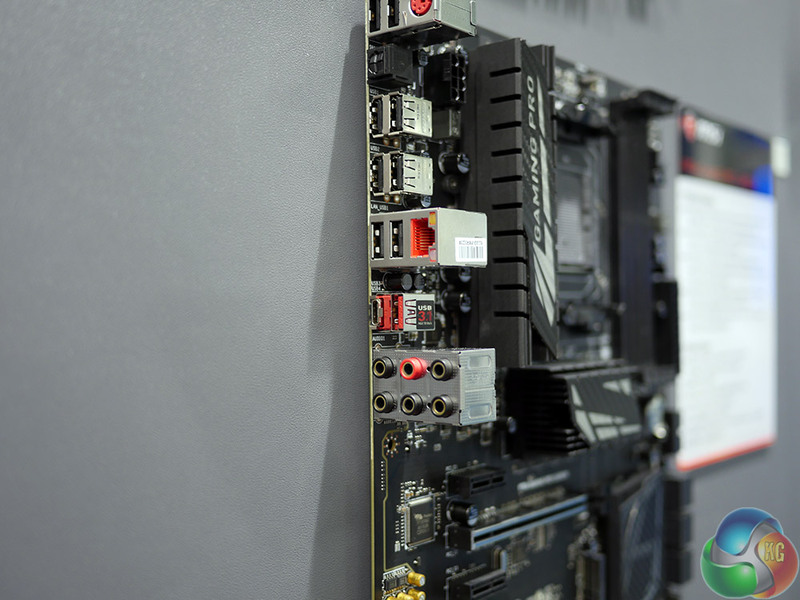 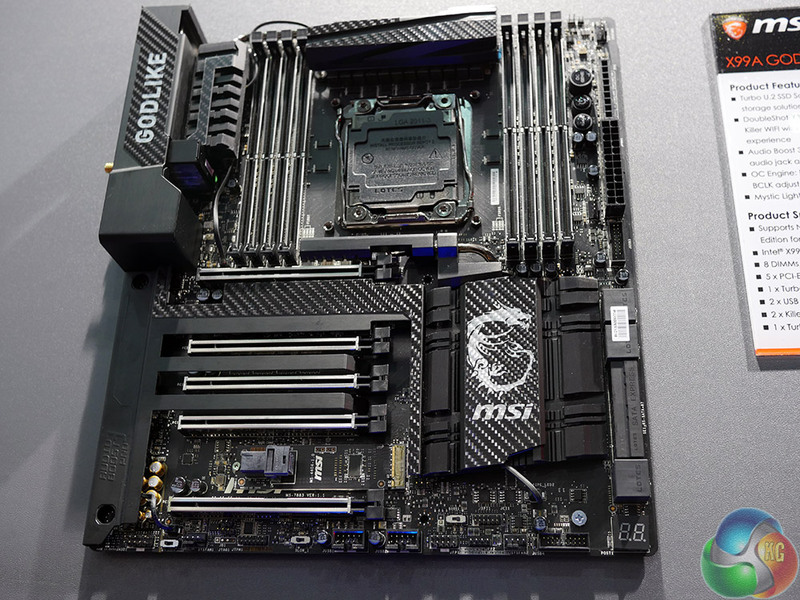 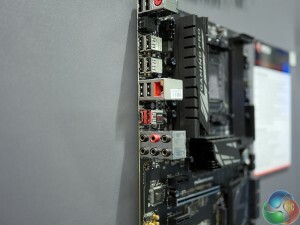 Motherboards too showed up in abundance, with a number of Carbon models, as well as a couple of uber high-end X99 God Like Gaming boards which go for as much as £500. 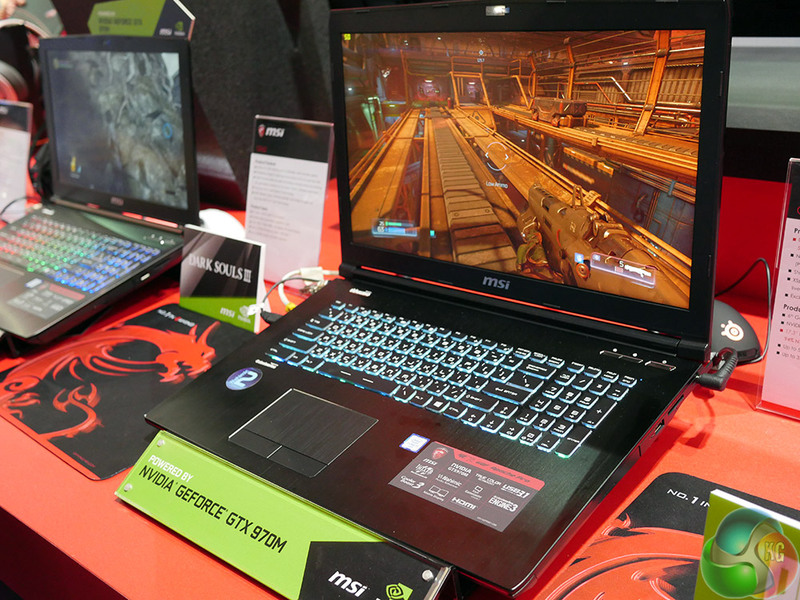 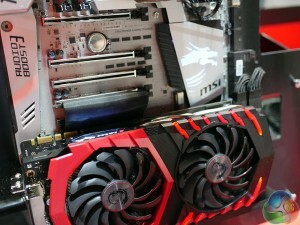 There were some strong gaming desktops too, as well as a few details on MSI’s upcoming GTX 1070. 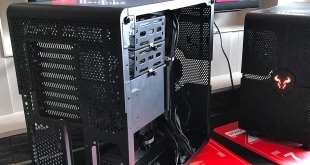 Although exact specifications weren’t on hand, we were told that they will not run at stock clocks and that at up to 60 degrees, the fans don’t even spin, keeping the GPU whisper quiet. 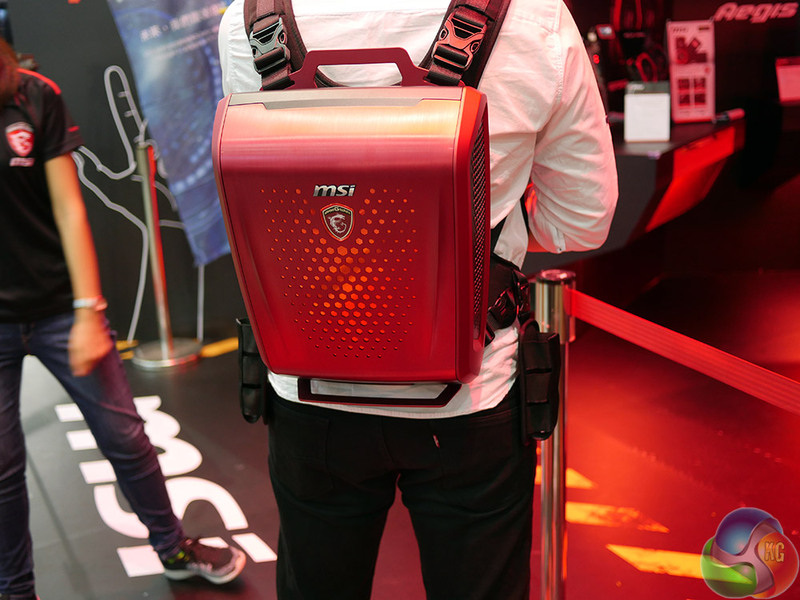 KitGuru Says: MSI had a lot of nice hardware on show at this year’s Computex, but that battery powered VR backpack has my intrigued. 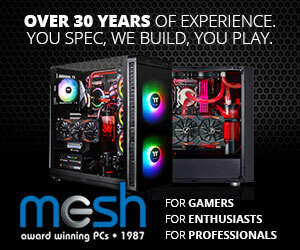 I’d definitely be down for one of those.